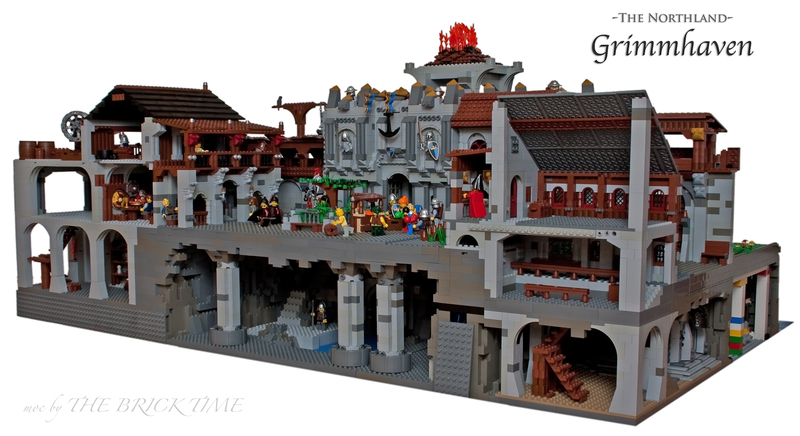 The Northland Grimmhaven display from The Brick Time appeared on Brickshelf recently after being displayed at an exhibition in Berlin. This diorama no doubt has much details packed in, especially the the robust plaza at the back. 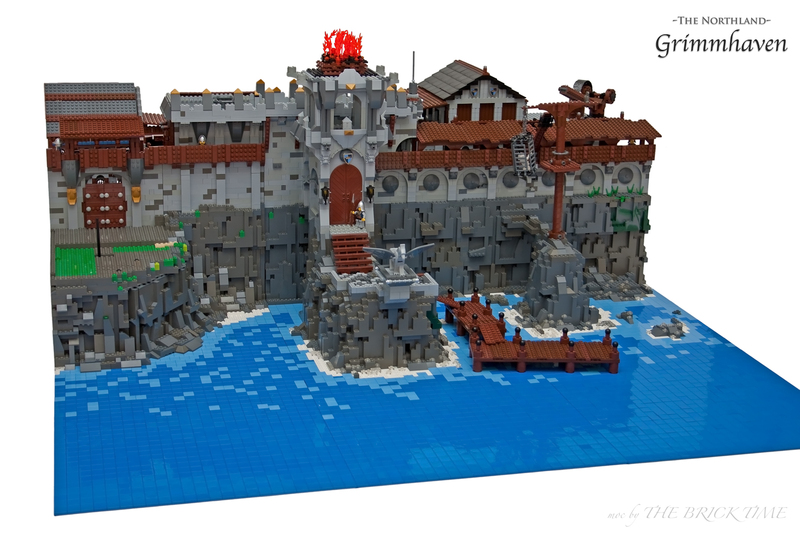 You can find the builder’s recently created Flickr gallery here. Wow, this is pretty epic. Reminds me that I’m annoyed that the wings for the hippogryph don’t match the color of the body. It makes it less awesome for a statue.